September 30, 2011  Updated figures from the Centers for Disease Control and Prevention show that 84 people in 19 states have been sickened by listeria bacteria from an outbreak linked to cantaloupes. September 30, 2011  Four wild mushroom foragers who mistakenly ate toxic fungi they found near Washington, D.C., were treated with an experimental medicine that's been used in Europe for years. September 27, 2011  A daylong session on drug shortages convened by the Food and Drug Administration documented lots of issues and no easy remedies. 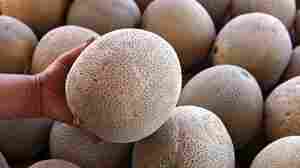 September 22, 2011  Cantaloupe has been implicated in two multistate outbreaks of food-borne illness this year. Eight people have died in the latest outbreak; illnesses are expected to climb, CDC says, because listeria can live in the gut for up to two months before a person gets sick. 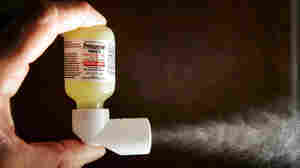 September 22, 2011  The epinephrine inhalers, marketed as Primatene Mist, are one of the last consumer products with chloroflouorocarbons, or CFCs, to disappear from the market. September 20, 2011  Tests show cantaloupes from Jensen Farms carried bacteria linked to an outbreak of listeriosis that has sickened 35 people. The germs were also found found on packing equipment. 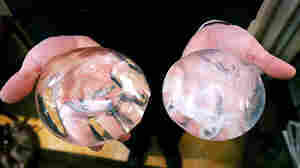 Last week the company recalled the affected melons. September 8, 2011  The Food and Drug Administration is taking issue with the claim that "Brazilian Blowout" hair straightener is formaldehyde free. But the maker of the popular product says it is still safe and meets government standards. September 2, 2011  The company's website linked to pages about several drugs without mentioning any of the risks they pose in the promotional text, FDA said. Pfizer said it has removed the "cited content" and is working on a response to the agency. September 1, 2011  Manufacturers of silicone breast implants have done such a poor job of tracking patients that it's impossible to know if the devices have long-term health and safety risks, consumer advocates said a meeting of experts advising the Food and Drug Administration. 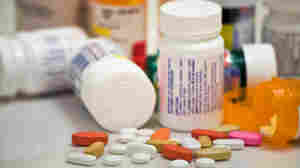 August 25, 2011  The FDA says doctors should not treat patients with doses of the antidepressant Celexa in excess of 40 milligrams a day. 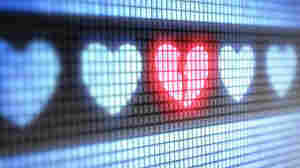 Doses higher than that raise the risk for abnormal heart rhythms. 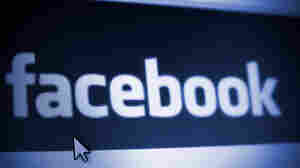 August 22, 2011  Drug companies are taking down Facebook pages that refer to prescription drugs, fearing the ire of the FDA. But patients may lose out if they can't ask companies about how to use their products. August 17, 2011  The government has a system in place to try to keep similar looking and sounding drugs from ending up on the market together. But the pharmaceutical industry has been pushing to kill that system. August 12, 2011  More people are getting sick from recent outbreaks of an antibiotic-resistant strain of salmonella found in ground turkey, and E. coli found in strawberries. But there's probably not a quick fix for the food safety system in sight. August 4, 2011  The Food and Drug Administration has approved the first antivenom against scorpion toxin. Called Anascorp, the treatment was developed in Mexico and will cost more than $10,000 per patient. For small children, who are at greatest risk from the bites, the treatment can be life-saving. 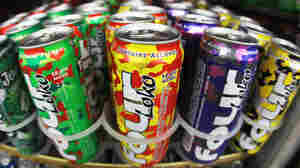 August 2, 2011  Emergency room doctors in New York report on 11 cases of young people who wound up in bad shape after drinking too much Four Loko. The beverage no longer contains caffeine, but the doctors worry the popularity of caffeine mixed with alcohol is here to stay.